A Salt Lake City bike share program is joining with a contemporary art museum to encourage a love for the arts through peddle power. Seeing people power bright colored green bikes around downtown Salt Lake City is nothing new. But as of Wednesday, there is a new custom bike in town, and this one isn't green. 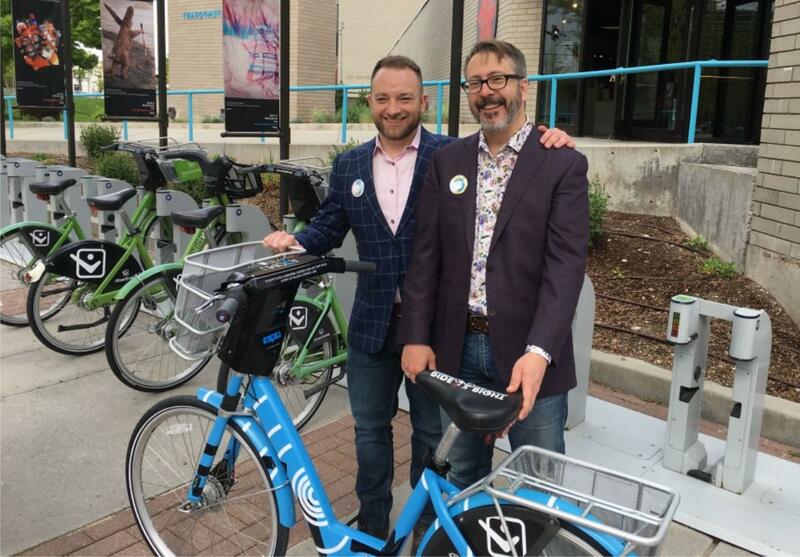 GREENbike is a non-profit subscription bike share program and is a mechanism to improve community health, air quality and to increase the use of existing transit infrastructure. Most recently, GREENbike partnered with Make-A-Wish Utah. That non-profit organization bike was checked out 1,637 times last year, about sixty-one percent more often than the traditional two wheeled green cycle. “We actually just gave them a nice big check with a giant poster-board of the Make-A-Wish bike,” Bolte said. Each time the UMOCA bike is ridden during the coming two years, GREENbike and program supporter SelectHealth, will donate one dollar to the Utah Museum of Contemporary Art. You can ride this two wheeled portable work of art by checking it out at one of thirty-three GREENbike stations in downtown Salt Lake City.